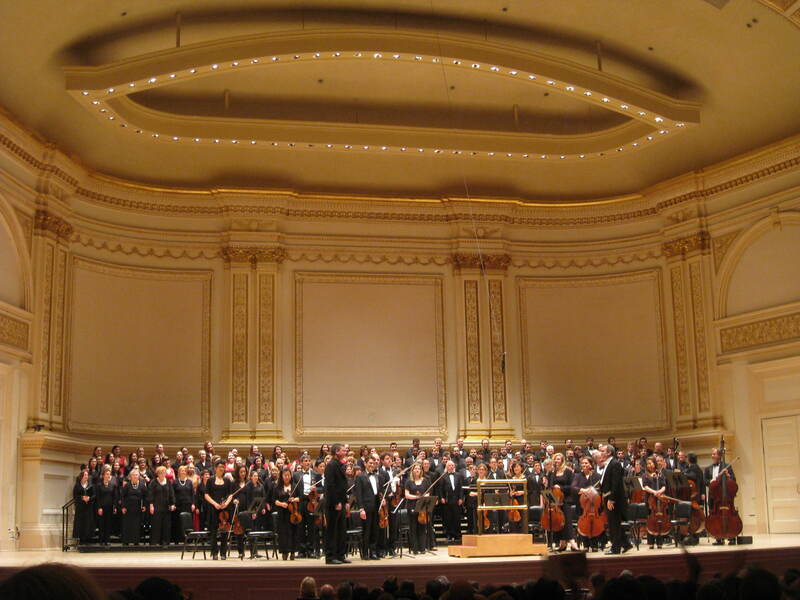 The first half of the concert featured the Manhattan Chorale and New York City Chamber Orchestra performing the world premiere of the piece Dreamweaver, a setting of the medieval Norwegian poem Draumkvedet, as well as Gjeilo’s 1999 setting of the Ubi Caritas text. For the second half, singers from three additional choirs came on to sing his 2008 work, Sunrise Mass. 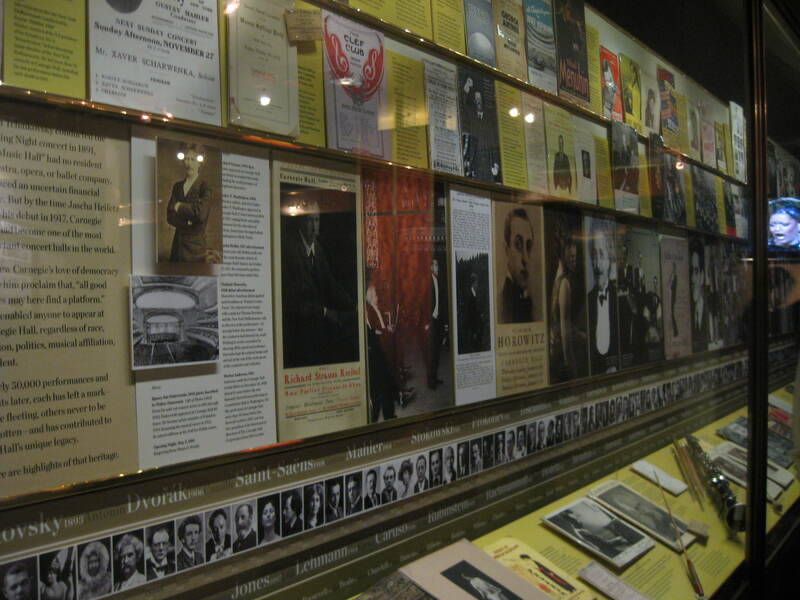 In addition to the usual interval pursuits, Carnegie Hall patrons can visit the onsite Rose Museum, which contains displays about the building as well as illustrious musicians who have performed there. As you might expect the collection seems to be largely paper-based, but there were a few artefacts on show, including Benny Goodman’s clarinet (just visible in the bottom corner of this picture), and it was all most interesting. P.S. In case the title of this post seems more-than-usually random, please see this link. 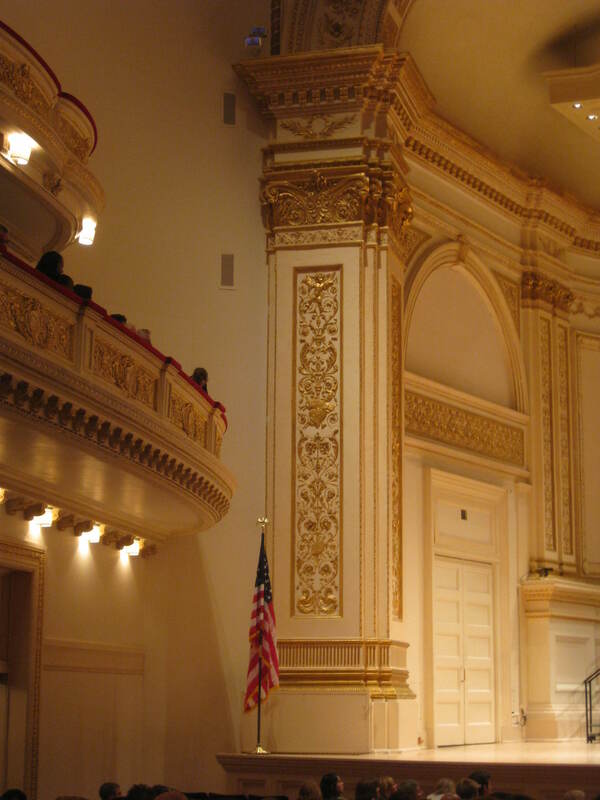 This entry was posted in Music and tagged Carnegie Hall, concerts, Manhattan Chorale, Ola Gjeilo by Emma Davidson. Bookmark the permalink.